Blood glucose level is the amount of glucose (sugar) in the blood. It is also known as serum glucose level. The amount of glucose in the blood is expressed as millimoles per litre (mmol/l) or mg/dl. Normally, blood glucose levels stay within narrow limits throughout the day 80 to 120 mg/ dl. But they are higher after meals and usually lowest in the morning. If a person has diabetes, their blood glucose level sometimes moves outside these limits. Why control blood glucose levels? When you have diabetes it’s very important that your glucose level is as near normal as possible. The primary goal of any diabetes treatment is simply to keep the glucose level stable. cardiovascular disease, such as heart attack, hypertension and heart failure. How can I measure blood glucose levels? Blood glucose levels can be measured very simply and quickly with a home blood glucose level testing kit. These come in a wide variety of shapes and sizes, but they all consist of at least two things: the measuring device itself and a strip. A pharmacist will be able to advise you about the most appropriate model for you. To check your blood glucose level put a small amount of blood on the strip and place the strip onto the device. After about 30 seconds it will display the blood glucose level. The best way to take a blood sample is by pricking the finger with a surgical knife, called a lancet. Normal fasting blood glucose level 70-100mg/dl. As per WHO criteria, a person is said to be suffering from diabetes if his /her fasting blood glucose exceeds 140mg/dl and 2 hours after oral glucose load exceeds 200 mg/dl. *People who have Type 1 diabetes should measure their blood glucose level once a day, either in the morning before breakfast or at bedtime. *In addition, they should do a 24-hour profile a couple of times a week. That means measuring blood glucose levels before each meal and before bed. *People who have Type 2 diabetes and are being treated with insulin should also follow the schedule above. *People who have Type 2 diabetes and who are being treated with tablets or a special diet should measure their blood glucose levels once or twice a week either before meals or one-and-a-half hours after a meal. They should also do a 24-hour profile once or twice a month. 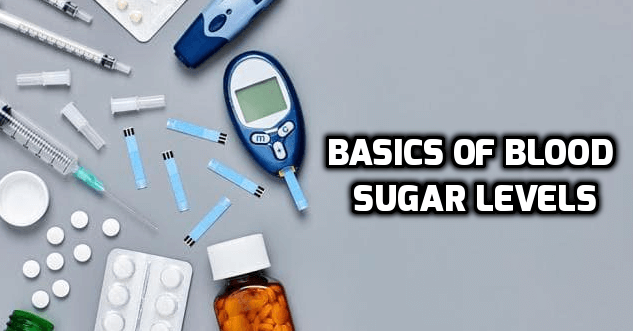 The main advantage for insulin-treated diabetics in measuring blood glucose levels in the morning is that appropriate amounts of insulin can be taken if the blood glucose level is high or low. This will reduce the risk of developing late-stage diabetic complications. *The blood glucose level at bedtime should be between 7 and 10 mmol/l. *If blood glucose is very low or very high at bedtime, you may need to adjust your food intake or insulin dose. Make sure you discuss this with your doctor. At what other times should blood glucose levels be measured? Blood glucose should be measured any time you don’t feel well, or think your blood glucose is either too high or too low. People who have Type 1 diabetes with a high level of glucose in their blood (more than 20mmol/l), in addition to sugar traces in the urine, should check for ketone bodies in their urine, using a urine strip. If ketone bodies are present, it’s a warning signal that they either have or may develop diabetic acidosis. If this is the case, they should consult their doctor. Glycosylated haemoglobin or HbA1c – also known as long-term glucose – shows how much of the haemoglobin in the blood is glycosylated. This means that a haemoglobin cell in your blood has picked up a glucose molecule. The normal amount is 4 to 6.5 per cent. This test is usually done using a blood sample from the patient’s arm. It shows how high the glucose levels have been over the last six to eight weeks. ← What Are The Consequences Of Stress?